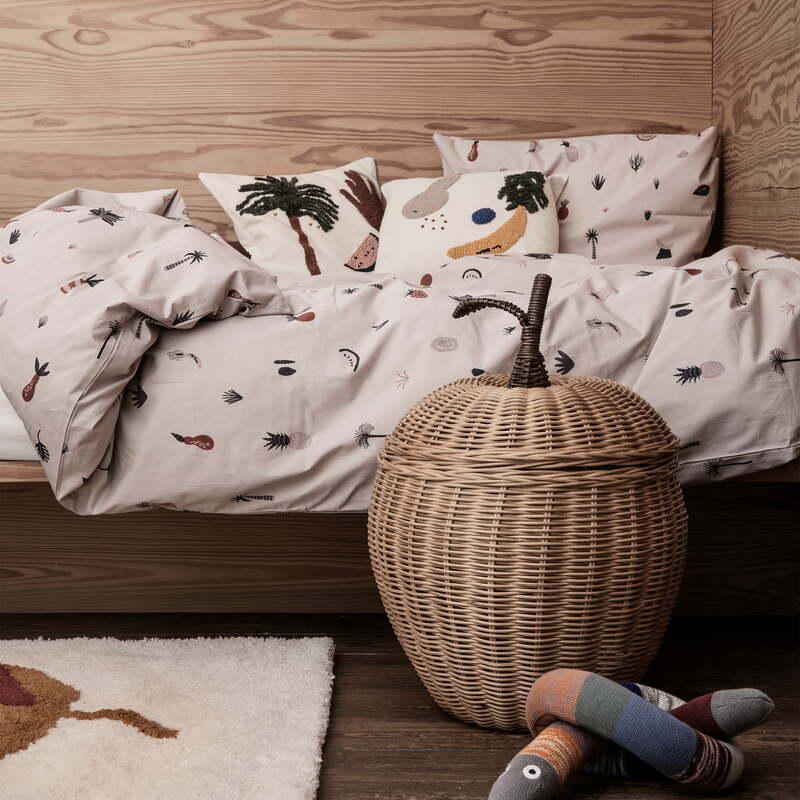 The woven apple basket from ferm Living is characterised by its cute shape, which integrates perfectly into any children's room. Made of woven rattan, the basket has a natural note and at the same time sets cosy accents. The basket is suitable for storing toys, but the apple basket also cuts a fine figure outside the children's room. In the bathroom, for example, cosmetics can be stored in it and in the kitchen it serves as a fruit bowl for real apples. 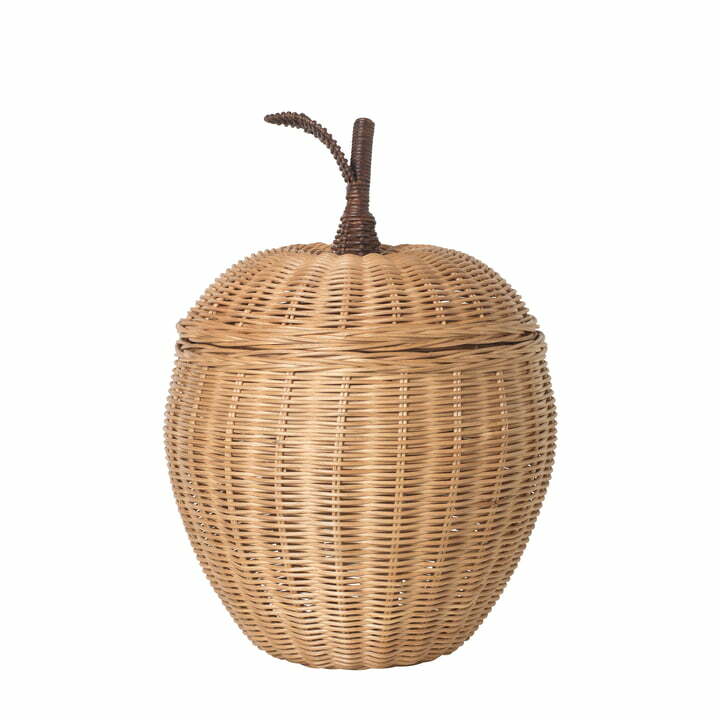 The braided apple basket is available in different sizes, which can also be combined wonderfully with each other. Braided apple storage basket, Ø 19 x H 30 from ferm Living in single view. 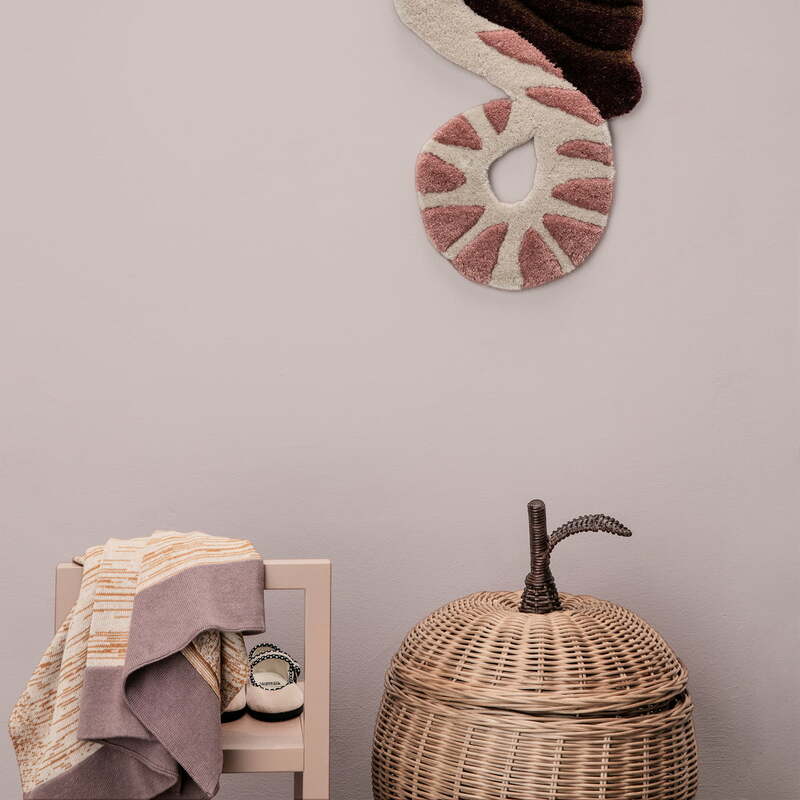 The woven apple basket from ferm Living is characterised by its cute shape, which integrates perfectly into any children's room. Made of woven rattan, the basket has a natural note and at the same time sets cosy accents.